Each week or two myself or 3D Total's photo resource will provide a set of photo's to model from. Each challenge we would like all who participate to model from the same references to learn, improve or showcase your ability in modelling from a photo set. In my version of this challenge there are no limits to how many tris/quads you wish to use, but I would like to see you all try to match the photo as closely as possible in size & shape aswell as texturing too. Please post your wires, clays, & any texture sheets and final renders in this thread, wip and on topic chat is also fine here too, these challenges are supposed to be fun and we are not too strict on the rules. 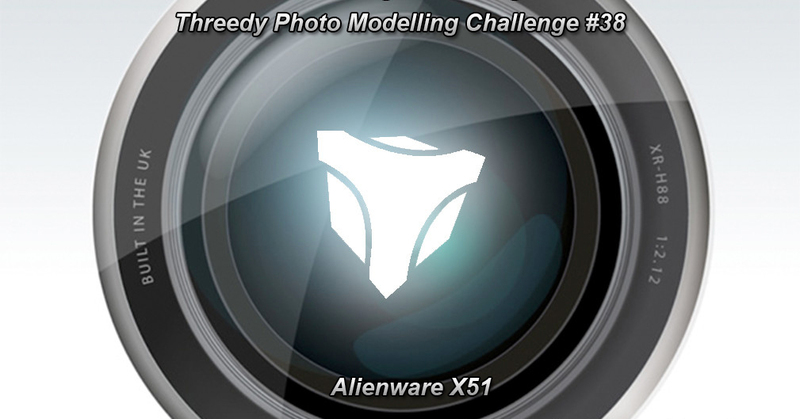 In this challenge i'd like to see you model an Alienware X51, you can chose to model it as detailed as possible, it's a interesting shape, with plenty of different elements to concentrate on, as always enjoy modelling. come on guys, is this really too challenging? Sorry mate, I wanted to use my spare time for personal project but don't tempt me! Is this still on or has it been canceled ? i want to make this beast ! it's on till tomorrow, but if you wanna extention i'll happily extend it for someone to try it. I started the other day but got stuck. You can extend and if you have another idea for PMC you could start a second one, no? I have found new photo gallerias at filmenia and this webpage is full of celebrity photo modelling challenges. I am gonna try it. How long the extend is? Guys, challenges are over. New Speed Modelling Challenges will open soon-ish, stay tuned.